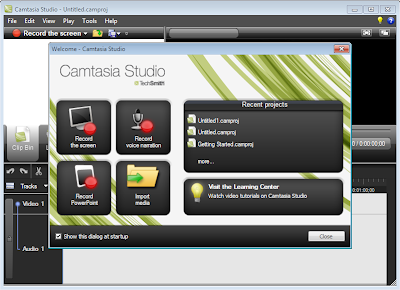 Camtasia Studio 7 has the right tools for creating professional screen video without formal training. With Camtasia, you can easily generate effective videos that help you train, teach, sell, and more. Record PowerPoint presentations, websites, webcams, and software demos easily. Edit screencasts to perfection by cutting, splicing, adding transitions, and captions. Produce your video in many formats, or share to YouTube or Screencast.com.